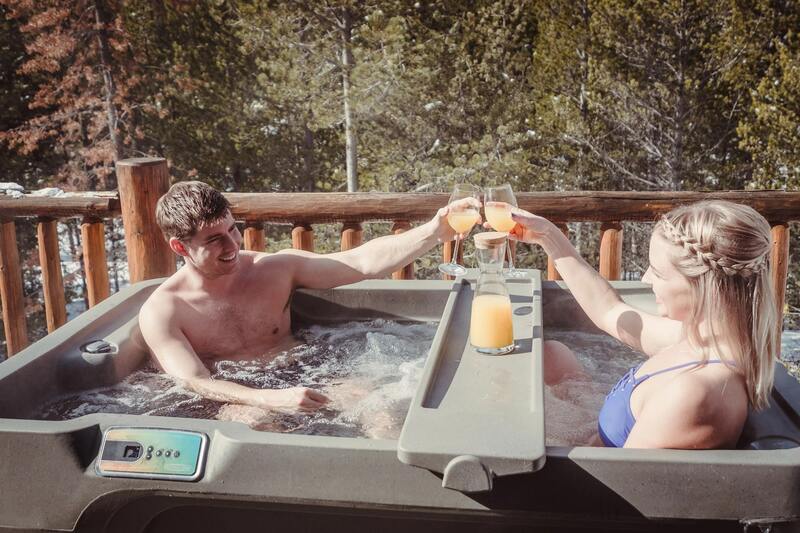 Check out this quick & easy list of reasons to own a hot tub! Whether you’re trying to convince yourself, a family member, or a friend to purchase a hot tub, having a quick list is one way to see all the many benefits of soaking! Print this out or share the link; everyone should experience a Jacuzzi, Hot Spring Spa or Fantasy Spa at least once! Relaxation: this is the big one. A soak a day, keeps the soreness away! Bonding: friends, family, and acquaintances; it’s an easy way to catch up. Time outside: with phones and computers everywhere, it’s important to spend some time away from screens! Romantic getaway: no need to go far, a relaxing evening with your partner is now in your backyard. Self pampering: treat yourself with a soak, a face mask, and then enjoy a good night’s sleep. Massage therapy: with the variety of jets in each model, find the perfect set for your massages! Pain relief: arthritis pain? back pain? Soaking will help manage pain. Athletic recovery: after a hard workout, a soak in the tub will help muscles to recover. Anxiety and stress relief: take time off from world and put your mind at ease. Improved sleep: increased circulation and relaxed muscles can help you easily fall asleep at night. Winter warmth: keep warm in the colder months by soaking. Summer cool off: you can also keep cool in the summer with CoolZone™ and lower the hot tub temperature. Morning wake up routine: a cup of coffee and a quick soak is a wonderful way to wake up and start the day. Exercise: water workouts are easier on the body and are great for burning calories. Themed parties: there’s plenty of ways to party with a hot tub! Holidays, birthdays, etc. Movie nights: with a completely entertainment system, watch the big game or latest show in the hot tub. Privacy: no need to go to a hotel or gym for a soak; do it in the privacy of your own backyard! Fun lighting: tubs also come with beautiful lighting settings, customizable for every mood. Custom tubs: color options from the tub to the cabinets and jets, find one to match your backyard. Dream backyard: build your dream backyard and personal oasis by adding a hot tub. Energy efficient: ask dealers about calculating monthly energy costs, but it won’t be denting your wallet! Easy maintenance: just follow the monthly and yearly maintenance guide, and you’re good to go. Easy to fit: whether it’s a lap pool or a hot tub, you can fit one in a standard backyard. Warranty: Each spa comes with a warranty to cover certain features and faults. Customer service: we have professionals who can answer every question you may have so you can make a solid decision!